The Sentient neck pickup from Seymour Duncan is voiced to capture a blend of PAF and modern tones with great output! 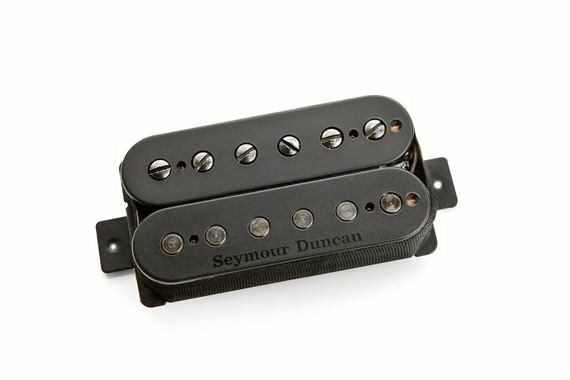 The perfect compliment to the Nazgul and Pegasus bridge pickups is the Sentient neck pickup from Seymour Duncan! It’s voiced to capture a blend of vintage PAF and modern tones with enough output to deliver harmonically rich distorted lead tones but subtle enough to give you deep, detailed cleans. Think of it as combining the best qualities of the ’59 Model and the Jazz: clarity, detail, depth, attack and expression. DCR – 7.74k, Res Peak – 6.53kHz.